Dunning, David Montgomery, Sr., Banker. Born Auburn, NY Dec 30, 1844. Son of Henry Silas Dunning and Jane Wadsworth. Great grandfather, Silas Dunning, settled in Aurelius in 1796, and great grand-father Henry Montgomery settled there the same year. Married Alice J. Hutchinson, Auburn, 1871. Children: Alice M. Dunning Goodwin, Charlotte E., Mary G. Dunning Thwing, David Montgomery Dunning Jr., Edith E., Amy L. Dunning Underwood., Charles H. Graduated Union College 1868 with degree of civil engineer. Trustee of Fort Hill Cemetery for forty years. Author of various papers on horticulture. Winner of several gold medals for horticulture exhibits. City Engineer for Auburn in 1865, treasurer of Auburn Gas Light Co., 1868-1902, president of Auburn Manufacturing Co, 1890-94, President of Auburn Savings Bank 1909 to date. Resides 4 Grover St.
From city maps of 1904, David Dunning owned significant areas of property on the west end of town. One of those areas was South Division Street, which is now known as Dunning Avenue. From: "Safe Money, The Record of One Hundred Years of Mutual Savings Banking at the Auburn Savings Bank", by Samuel Hopkins Adams, 1949. David M Dunning was elected president of the Board of Trustees. Mr. Dunning was a public utility official and, on a modest scale, a real estate operator. He had served as trustee since 1885. For seven years he had been a second vice-president and thereafter a first vice-president. Dunning retired in 1932 and succeeded by Dr. Frederick Sefton. 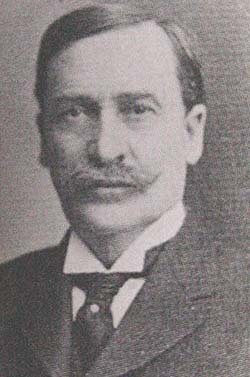 David M. Dunning was a member of the Fort Hill Cemetery Board of Trustees from 1893 to 1935. The Dunning family plot is located in the Cemetery's North Side section.